We have two types of redfish available. The first one is the deepwater redfish, which is also known as Sebastes mentella. The second one is the rose fish, which is also known as Sebastes marinus, ocean perch and Sebastes Norvegicus. The deepwater redfish lives in high concentrations in the North Atlantic. The rose fish lives off the coasts of Europe and North America. Both fishes are used for our redfish fillets. Redfish originates from the Atlantic Ocean, which is also known as FAO fishing area 27. We primarily catch the fish in the Atlantic Ocean with our own Dutch fishing fleet. After the redfish is caught we only take the best ones and we immediately process and freeze them. 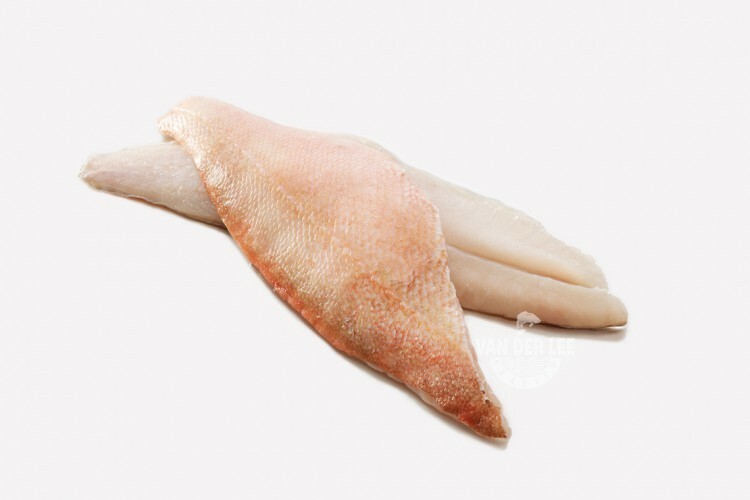 As a supplier we sell our redfish fillets skin on and scaled. Van der Lee Seafish also imports redfish from China, which is caught in FAO fishing area 67. Our redfish from China can be found on our ‘Fish Worldwide’-page. We also have crispy redfish fillets and crunchy redfish fillets available at our ‘Added Value’-page. The deepwater redfish is characterised by its bright red colour. In contrast, the rose fish has a more orange colour. Redfish fillets have a strong smell and they have a mild and sweet flavour with a moderately firm texture. Their meat is lean, flaky and moist. One hundred grams of redfish fillets contain around 105 calories. Like every fish, they contain a lot of protein too. The fillets also contain a bit of fat which is mainly monounsaturated fat. This fat is a healthier fat compared to the others. Thereby, the redfish fillets also contain vitamin B1 and C, which are necessary for the production of energy and to heal wounds. We mainly export our redfish fillets to the catering industry and retailers in Germany, Italy and Spain. The fillets are often eaten as a main dish. You can grill the fish or use it for the barbecue. People also like to eat blackened redfish fillets. This means that the fish is dipped in melted butter and then dredged in a mixture of spices and herbs. It is then cooked in a very hot cast-iron skillet. While this method of preparation can be applied to other fish and protein sources, the original recipe calls for redfish. Redfish fillets are also delicious with spices or with lemon juice.